Flipboard, MagazineWidget, S Voice, Samsung Apps, Samsung Apps Widget, SapaMonitor, Screen Saver, World Clock, and (Hancom; Office for Android Share, Hcell, Hshow, Hword, Updater, Viewer Launcher, and Widget) if you don’t plan on using it. Then reboot. This settings netted huge gains. The tablet felt so much more responsive for me, especially with regards to animations. In particular — and perhaps this is a complete placebo effect — I felt that scrolling (web pages, app lists, etc) was dramatically improved. Sluggish scrolling has always bothered the hell out of me with Android devices. This seemed to help a lot (again, it could just be a placebo, but I genuinely think it helped). 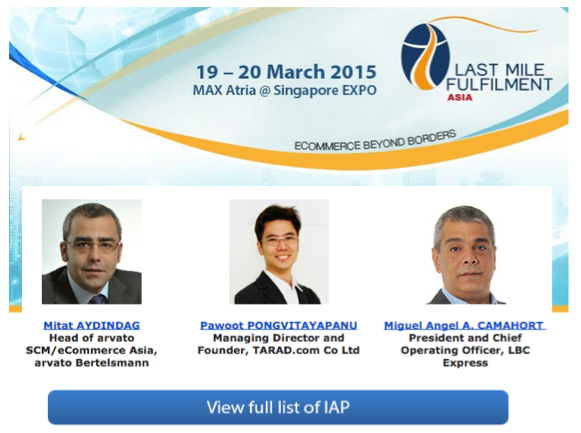 เค้าเชิญผมไปพูดในงาน Last Mile Fulfilment Asia 2015 ที่สิงค์โปร์ เห็นได้ชัดว่า E-Commerce กับ Fulfilment เชื่อมโยงกันแบบแยกไม่ออกแล้ว. !